8 Amazing Ways to Organize Your Garage! Let’s be honest– our garage is often the messiest part of our home. It’s where we store our tools, outdoor fun & games, seasonal items and more. But it doesn’t have to stay unorganized. Whether your garage is big or small, there are tons of ways to utilize the space for a garage you can be proud of. Check out these eight amazing ways to organize your garage to improve both look and function! 1. Use the Walls: That’s right–use the walls to hang and organize different things in your garage. Putting supplies on the walls will improve floor space, while looking neat and tidy. You can do so by installing cabinets and shelving, adding a pegboard for outdoor supplies, attaching a magnet to group tools and much more! 2. Ceiling Storage: If you don’t want to fill up your walls, then you can easily add a sliding ceiling storage system. Adding plastic bins to your ceiling will increase floor space and make organizing so much easier. 3. Consider an Add-On: If you really don’t have the space you need, you should definitely consider an add-on. A small, wooden add-on is fairly inexpensive and perfect for a work area. All you need is the right building codes and your add-on will be ready before you know it! 4. Stain the Garage Floor: Sometimes all you need to do is give your garage a makeover to make it look cleaner. Staining the concrete floor is a perfect way to make your garage seem bigger. It’s easy and inexpensive– all you need to do is clean out the garage, wash the floor and get to work on staining. 5. Tile the Walls: It may sound crazy, but you can clean up your garage simply by adding a pop of color to the walls. Use tile as a wall covering to enhance the look of your garage– and for cheap too! You can find tile pieces at your local hardware and dollar stores. Just apply it like you would the floor for an attractive transformation. 6. Plastic Tubs: Organize your entire garage with inexpensive, plastic tubs. Whether you line them on the walls, floor or ceiling, plastic tubs are perfect for a neat look in your garage. Arrange them using labels and group like items next to each other for easy access. 7. Colored Plastic Cups: This simple do-it-yourself idea can organize a variety of different tools and supplies in your garage. Attach the cups to a pegboard, magnetic strip, etc. Make sure to add color to your cups to give your garage a fun look. 8. Update Garage Doors: Changing the color and design of your garage doors not only give the garage a touch of style, but your house too! You can purchase kits to add the carriage-house style yourself or trust an expert to transform your garage doors. 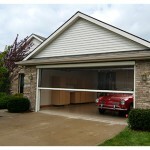 Either way, updating the look of your garage doors will give a lasting impression for your entire home. 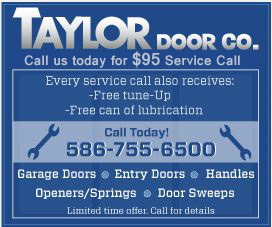 Taylor Door Co. is the only name you need to know to update your garage doors. Offering the best quality in garage doors and experienced, friendly service, you won’t want to look anywhere else. Choose your favorite style from Taylor Door’s impressive showroom or let them help you make your own idea a reality. 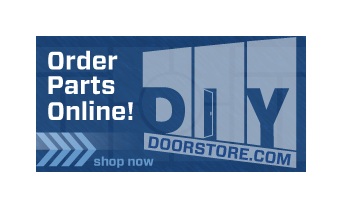 To schedule your free estimate, call 1-800-NEW-DOORS today!